This website is all about crafts with jars....any jars! When Gina with The Shabby Creek Cottage found these fun globe jars, she had a great idea for Halloween! 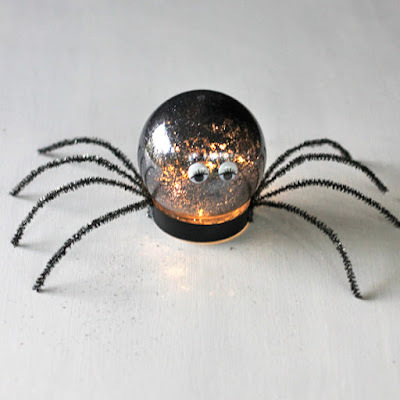 I love these spider luminaries and they are super easy to make. Click here to get the full set of instructions.